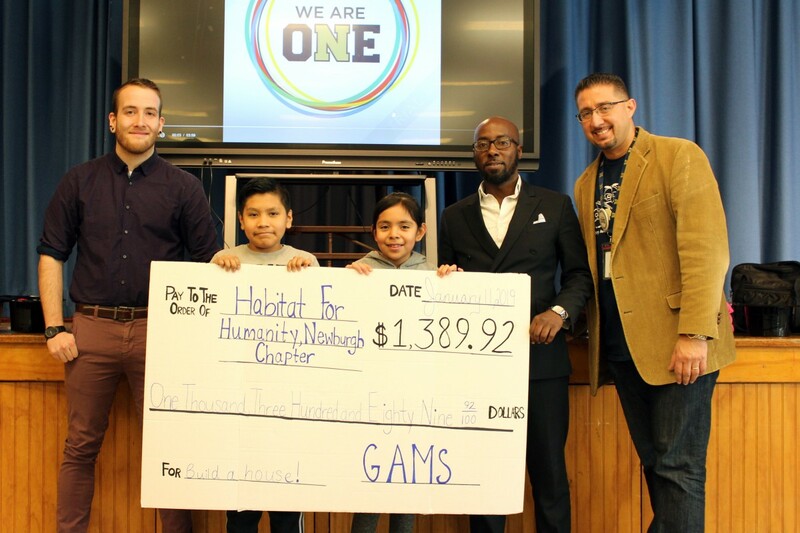 Beginning in October, the students of GAMS were involved with a Pennies for People fund drive. Each day, a group of fifth graders visited every classroom to collect pennies in the jars. The students watched the jars fill up day by day. All those pennies were deposited last week…$1,389.92 total! 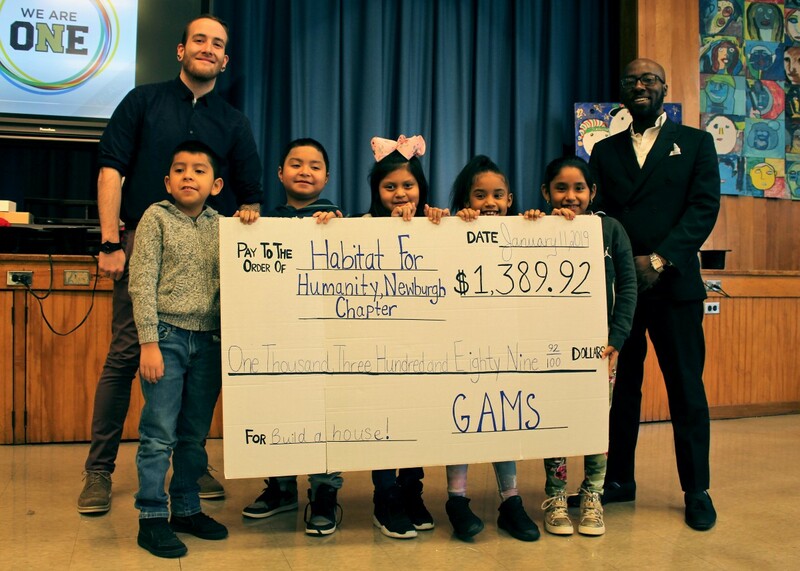 At GAMS January Leadership Assembly, the GAMS student body presented the check to Habitat for Humanity of Greater Newburgh. The students were so excited to find out the total, and learned that by working together they can give back to their own community and make someone’s life a bit better. Way to go, GAMS!